This article is a short introduction to cron jobs, their syntax, and how to set them up. 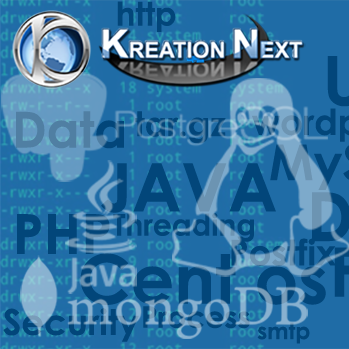 A cron job is a scheduled task that is executed by the system at a specified time/date. The command to create/edit, list, and remove cron jobs is crontab. If you call it with the -u option, it specifies the name of the user whose crontab is to be tweaked. If this option is not given, crontab examines “your” crontab, i.e., the crontab of the person executing the command. If you are looged in as root and run crontab without -u, then root’s crontab is listed/modified/removed. If you are logged in as exampleuser and run crontab without -u, then exampleuser‘s crontab is listed/modified/removed. lists all cron jobs of exampleuser. let’s you create/modify the cron jobs of the user as that you are currently logged in (I’ll come to the syntax in the next chapter). let’s you create/modify the cron jobs of exampleuser. deletes all cron jobs of the user as that you’re currently logged in. deletes all cron jobs of exampleuser. Please note that this will overwrite all previously created cron jobs – if you’ve already created some cron jobs, you better use crontab -e and add the new cron job manually. to learn more about the crontab command. When specifying day of week, both day 0 and day 7 will be considered Sunday. A field may be an asterisk (*), which always stands for first-last. Names can also be used for the “month” and “day of week” fields. Use the first three letters of the particular day or month (case doesn’t matter), e.g. sun or SUN for Sunday or mar / MAR for March.. This means: execute /usr/local/ispconfig/server/server.sh > /dev/null 2>> /var/log/ispconfig/cron.log once per minute. This means: execute /usr/local/ispconfig/server/cron_daily.sh > /dev/null 2>> /var/log/ispconfig/cron.log once per day at 00:30h. The day of a command’s execution can be specified by two fields: day of month, and day of week. If both fields are restricted (i.e., aren’t *), the command will be run when either field matches the current time. For example, 30 4 1,15 * 5 would cause a command to be run at 4:30h on the 1st and 15th of each month, plus every Friday. 1,2,5,9 – means every first, second, fifth, and ninth (minute, hour, month, …). 0-4,8-12 – means all (minutes, hours, months,…) from 0 to 4 and from 8 to 12. */5 – means every fifth (minute, hour, month, …). 1-9/2 is the same as 1,3,5,7,9. Ranges or lists of names are not allowed (if you are using names instead of numbers for months and days – e.g., Mon-Wed is not valid). means: run command every second hour in the first, seventh, 25th, and 47th minute. @weekly Run once a week, “0 0 * * 0”. to learn more about the cron job syntax.